Doral, FL – I think it goes without saying that Miami appreciates winners. 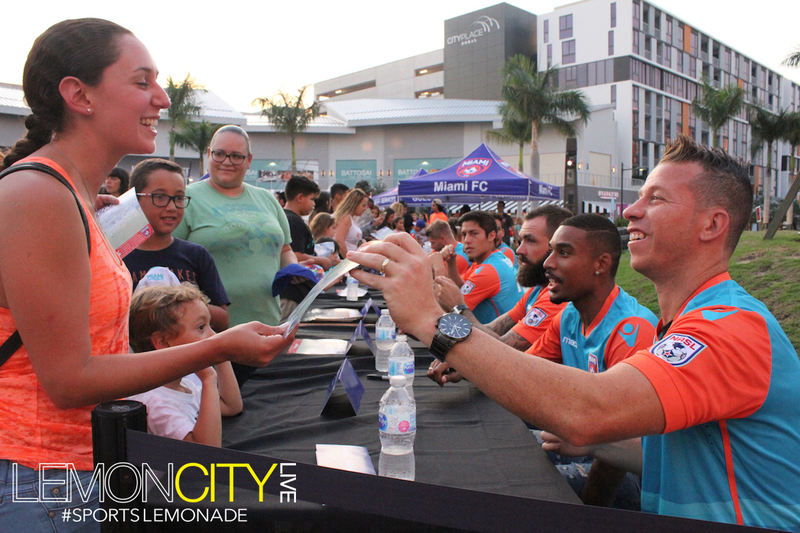 That was very much apparent Friday at the Miami FC spring season championship celebration at CityPlace Doral, where a large contingent of Miami FC fans came out to celebrate the team’s first ever championship, along with their hometown heroes. You could feel the excitement brewing as Miami FC Stadium Announcer, Big O introduced the team, player by player, culminating with head coach Alessandro Nesta. Bruce Silverman hyped up the growing crowd, and brought up some key characters to talk about the season.